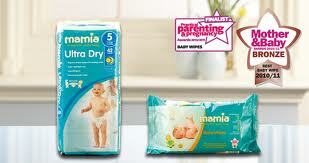 Aldi 's Mamia Range of Nappies and Wipes are not only very affordable but award winning products. I have been sent some of their Mamia Maxi Nappies which are super-absorbent and flexible, giving your baby day and night reassurance. For just £4.99 for a pack of 48 nappies it works out at just 10.4 pence each. They come in size 4/4+ (7-20kg, 15-44lbs) which is the perfect fit my Lil man Ryan. He's been comfortably wearing these all week and we've had no problems. We don't use high end brands normally as we're happy using Asda's own brand so i am not sure if we would change if I'm honest as they're pretty much the same price that we pay now. 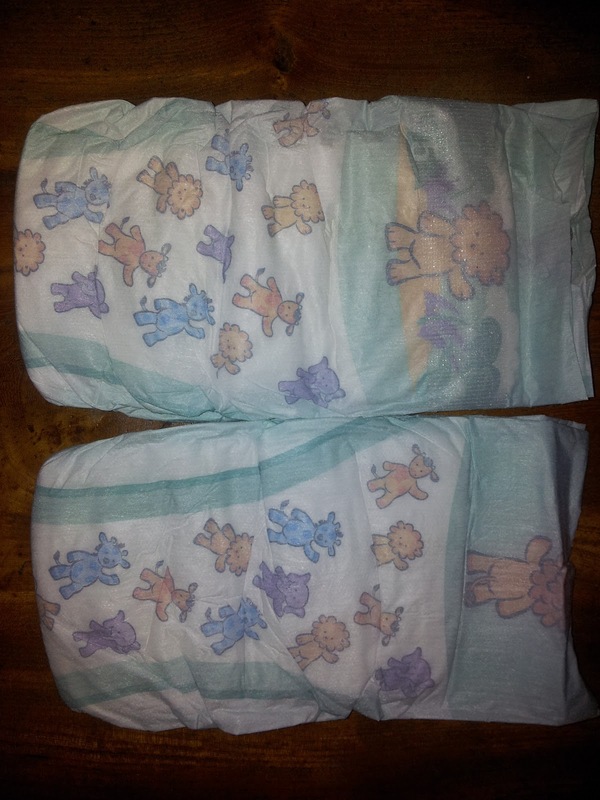 How ever the quality is of these nappies is very good, no rashes or irritation has been caused and they've not leaked or caused any dampness to his little bottom which is what matters really. I know every baby is different though and some have more sensitive skin than others. For us these nappies have been fine. Another great price for a product that does exactly what it should. I also love the cute little patterns on the front and back of the nappy. Made me smile hehe . We also tested out their Mamia Baby Wipes which are available in both Sensitive and Normal. They are soft and ideal for cleansing your baby’s skin on a daily basis. They are excellent value too at just 79 pence for a pack of 80 which is just 0.9 pence per wipe. There is not a great deal that I can say really about Baby Wipes except they do their job. They're moist but not too wet. They cleaned gently and didn't cause any rashes or soreness over this past week. I'm a little naughty and use baby wipes for a lot more than just wiping Ryan's bottom. I use them too clean my table or wipe my leather chair or even just for cleaning his sticky fingers if we're in a rush. I go through a lot of wipes in my house so for such a low price yet still good quality wipe it's great news for me. I don't have a favourite brand of wipes as I usually just buy what is on offer as they can be quite expensive in some shops. 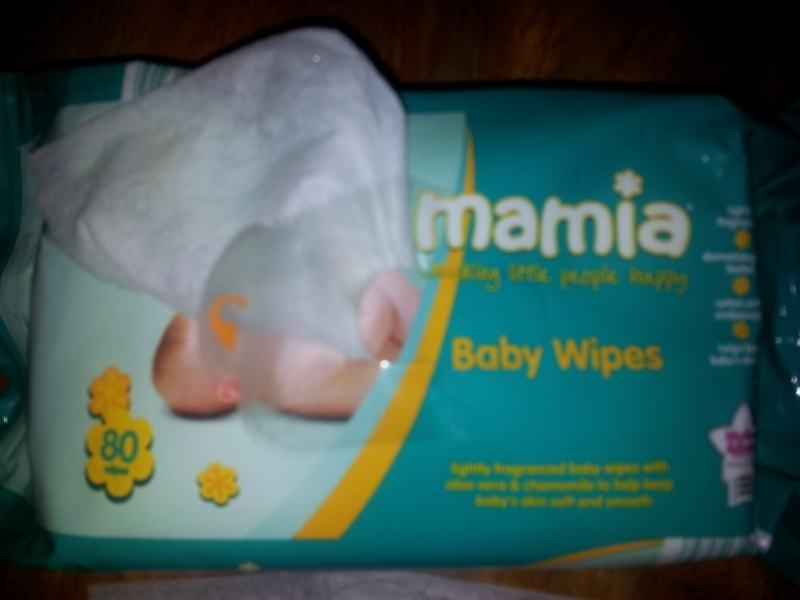 I think from now on I will be adding Aldi' s Mamia Baby Wipes to my weekly shop which will save me a small fortune in the long run. Have you ever tried the nappies or wipes from Aldi? If so , what did you think? I'd like to know. It's always great to hear what you think. It's great to compare notes sometimes.